The health care system of WB needs a massive change from every aspect. However, changing a system which is running for years is in itself a challenge. Therefore, change in the health policy needs to begin either from the foundation up or according to the importance of proposed legislation. Rural health care system without specialty care has always been the underdog of WB health system. However, most improvement can be made there. This policy document proposes a basic specialty care in rural areas of WB, intended to improve health care for a maximum possible population. Social services including health services have never been equitably distributed throughout society. Those who have access are making greater use of the facilities than people without knowledge or access to them (Ray, Basu, & Basu, 2011). No wonder that health care system is a dilemma for average people, and it affects everyone at every corner of the globe. Most of the health care systems are more concerned with profit than services. Moreover, the high cost of health care makes it impossible for many to afford (Waal, 2015; Oosterom, 2015) while the quality of life (QoL) directly depends on the quality of care (QoC) (Biswas Leshabari, & Gebuis, 2015). Although the United States of America is considered to be the best in the world in terms of quality of health care; millions of its citizen are still uninsured. Reports say it was 49,9 million in 2010 which increased by 1 million since 2009. Moreover, according to life expectancy, the USA is at 42nd place in the world even after being the biggest spender on health care. 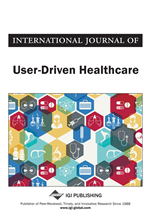 Altogether, a health care systems swing between what is needed for people and what is affordable (Waal, 2015). In short, it is not the money that gives the best health care; reaching maximum people at every socioeconomic level is quite a challenge for every country. Globally health care systems are being questioned every single moment. Canada spends more on healthcare (not into insurance companies) for a public funded universal healthcare system, but the quality of the care is not equivalent to others. Ghana started national health insurance scheme since 2003 which is affordable and significant for everyone, but care centres being in the urban areas are out of reach for maximum people who live in suburban areas or villages. On the other hand, citizens in Brazil pay 70% of their income as tax and still have to choose between government and private health care considering spectrum and quality of treatment. Flaws in the public system are still unavoidable, and they have to pay full out of pocket in private sectors. In contrast, Australia with high life expectancy and better care has to invest much more for flying doctors and communications because of the environmental and transport barriers. In short, no health care system is perfect around the world and India is not an exception (Waal, 2015; Oosterom, 2015; Kurrle, 2015). India has just one doctor for every 1.700 people. According to WHO criteria, to maintain required doctor population ratio India will need more 400.000 physicians by 2020 (Kumar, 2013). Situation in West Bengal, one of the densely-populated states of India, is far more alarming with doctor population ratio 1:2600 (“College of Medicine,” 2015). Moreover, most of the health services are centralized in cities and villages are left with very few or no trained doctors (Kumar, 2013). Instead of universal health care system, West Bengal has both private and public health care facilities to choose from almost like Brazil or China (Waal, 2015). Unfortunately, the private network is not reachable for everyone for the developing country like India where half of the population lives below poverty line (Kumar, n. d.). Because of current political change, West Bengal has upgraded financially to some extent although still contains 21.9% of the population below poverty line (Bureau, 2013). As a result, the health care system is a challenge for West Bengal government and its people.